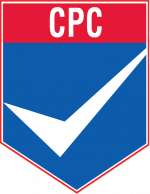 The Commission on Professional Credentialing (CPC) has 11 members that represent a cross-section of the fire and emergency service, including career, combination, and volunteer fire departments, city and county management, labor, academia, EMS, fire prevention, and the U.S. Department of Defense. CPC holds an in-person meeting at the CPSE Excellence Conference each spring and at the International Association of Fire Chiefs’ Fire Rescue International Conference each summer. During these in-person meetings, as well as during regular web meetings, CPC reviews officers applying for a designation. Learn more about the individuals that graciously volunteer their time to overseeing credentialing. Reginald Freeman is the fire chief/emergency management director for Hartford, Connecticut. Prior to this, he served as fire chief for Lockheed Martin Aeronautics in Ft. Worth, Texas. Chief Freeman also served in Iraq as a civilian fire chief for the U.S. Department of Defense from 2004 to 2008, providing all hazards fire and emergency services to forward and continuing operating bases throughout Iraq. His last assignment was as the Chief of Compliance, Safety, & Planning where he helped manage more than 700 firefighters. Derek Bergsten is chief of the Rockford, Illinois, Fire Department, which he has been with for over 20 years. Chief Bergsten holds an associate’s degree in Science and Fire Science from Rock Valley College, a bachelor’s degree in Business and Organizational Development from Western Illinois University and a Master of Public Administration from Northern Illinois University. He is a graduate of the Executive Leaders Program at Naval Postgraduate School’s Center for Homeland Defense and Security. He earned his Chief Fire Officer designation in 2011 and Chief EMS Officer in 2012, and Chief Training Officer in 2016. Timothy Bradley is the executive director for the North Carolina State Firefighters’ Association with a membership of more than 53,000. His fire service career started as a member of the Mebane Fire Department, where he was chief for seven years. In 1985 he became executive director of the North Carolina Fire and Rescue Commission and in 1994 was promoted to senior deputy commissioner of insurance in the newly-formed North Carolina Office of State Fire Marshal. He also served as the State Fire/Rescue Training Director. Mr. Bradley has an associates degree in Electronic Engineering, a bachelor’s degree in Fire and Safety Engineering Technology and is a graduate of the National Fire Academy’s Executive Fire Officer program. He earned his Chief Fire Officer designation in 2012. Chris Christopoulus is the chief of the Lebanon, New Hampshire, Fire Department and emergency management director for the city of Lebanon. 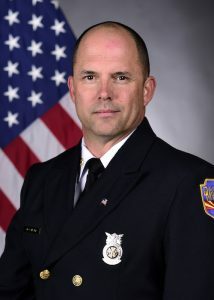 He began his fire service career in 1981 as a volunteer in his hometown of Wallingford, Connecticut and then became a full-time firefighter/paramedic with West Haven, Connecticut. 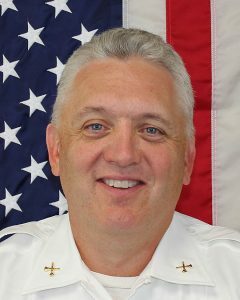 In 1999, Chief Christopoulus accepted a position as fire chief/building inspector for Rindge, New Hampshire before becoming deputy chief for Lebanon, New Hampshire and was promoted to fire chief in 2001. Chief Christopoulos is a graduate of Mount Wachusetts Community College in Massachusetts with an associate’s degree in Fire Science and a bachelor’s in Emergency Services Management from Granite State College in New Hampshire. He obtained a master’s degree in Security Studies from the Naval Post Graduate School, Center for Homeland Defense and Security in Monterey, California. Chief Christopoulos earned his Chief Fire Officer designation in 2009. 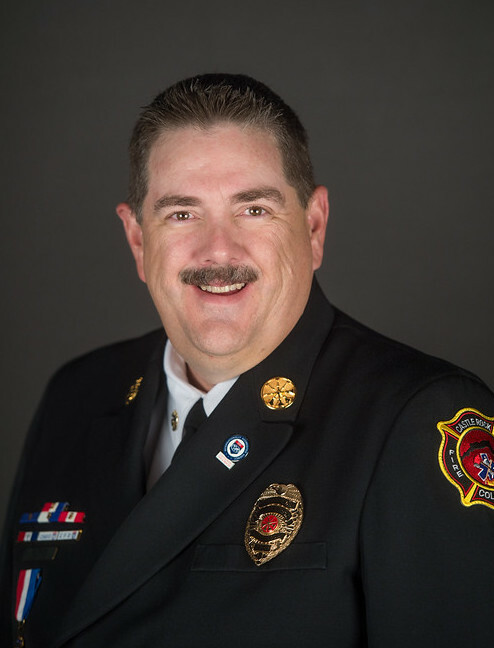 Norris Croom is the fire chief for the Castle Rock Fire and Rescue Department in Colorado, an internationally accredited agency through the Commission on Fire Accreditation International (CFAI). He has been with the Department over thirty-two years as both a volunteer and career firefighter, has experience working for private EMS agencies as an EMT, Paramedic, and a Communications Technician. 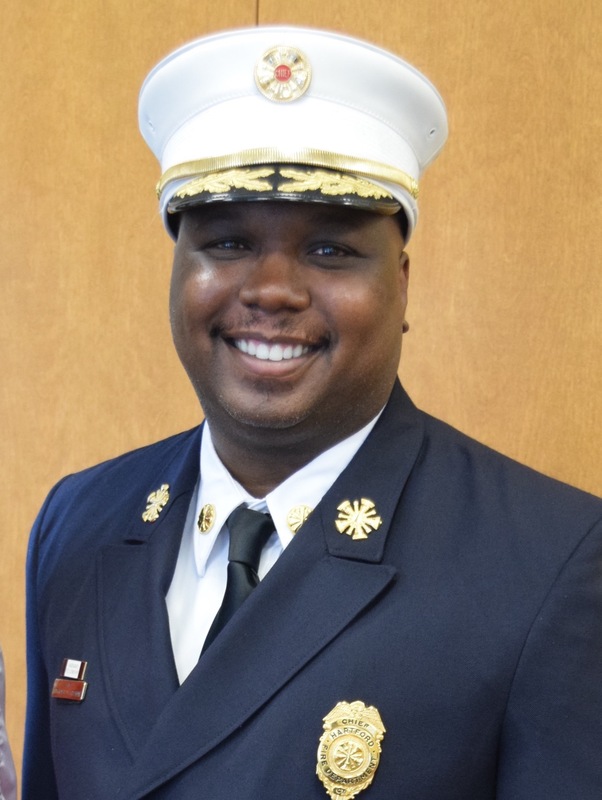 Chief Croom is a 2011 graduate of the Executive Fire Officer Program at the National Fire Academy. He earned his Chief Fire Officer designation in 2013 and his Chief EMS Officer designation in 2008. 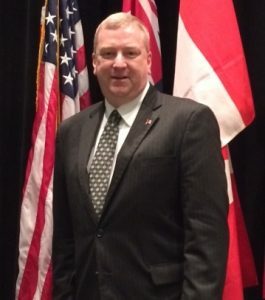 Craig Hannan is director of IFSTA/Fire Protection Publications (FPP) at Oklahoma State University in Stillwater, Oklahoma where he has worked since 1998 and has been Director since 2009. He has been a volunteer firefighter since 1988 is currently a captain and training officer for the Perkins Fire Department in Oklahoma. Previously, Mr. Hannan was a member of the Colbert, Oklahoma Fire Department where he was Fire Chief for two years and a career paramedic in Texas for 10 years. Mr. Hannan holds master’s and bachelor’s degrees in Business Administration and an associate’s degree in Paramedicine. 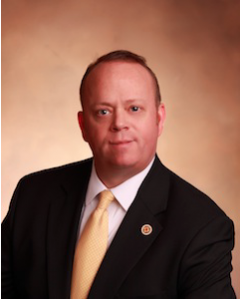 Jim Hipp is the deputy county administrator for the County of Spartanburg, South Carolina. Prior to joining Spartanburg he served in management positions in four North Carolina municipalities: Siler City, Tarboro, Lenoir and Concord. Mr. Hipp holds a bachelor’s degree in Government from Wofford College, Government Executives Institute from the University of North Carolina, Chapel Hill. Greg Rogers is the division chief of Fire Prevention for the Spokane Valley Fire Department since 2015. Prior to this he was with South Kitsap Fire & Rescue in Washington State and was a Fire Safety Engineer with the North Metro Fire Rescue department in Colorado. Chief Rogers has a bachelor’s degree in Engineering Technology-Fire Protection and Safety, and is currently working on a master’s degree in Fire Emergency Management Administration through Oklahoma State University. He earned his Chief Fire Officer designation in 2018 and Fire Marshal designation in 2010, and was the first person in Washington State to earn this designation. 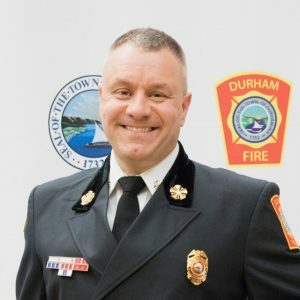 Matthew Vinci is the director of Education, Training and Human Relations for the International Association of Fire Fighters, a position he has held since 2013. 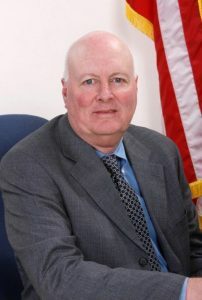 Prior to coming to the IAFF he served on the Executive Board of the Professional Fire Fighters of Vermont for 15 years, with six years as the president. He served as a captain with the South Burlington, Vermont, Fire Department where he started his fire service career in 1993. Mr. Vinci holds an associate’s degree in Fire Science from New Hampshire Technical College.